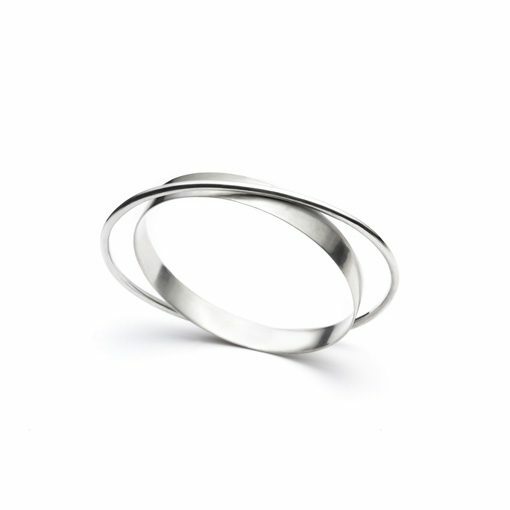 The Wright double bracelet is crafted of satin finish sterling silver with the narrow band polished to a high shine . Bracelet width according to size. Narrow band is 2.5 mm wide, wide band is 8 mm.